SPECIAL DEALS JUST FOR YOU! SAVE UP TO 15% ON YOUR LAST-MINUTE BOOKING. BOOK TONIGHT, TOMORROW OR 3 DAYS OUT. With this as your home base, mixing business and adventure is easy. Use the fast WiFi to review your presentation as you drink your first cup of coffee. Your conference or meeting is only a few blocks away, and it’s a safe walk to work surrounded by a status-conscious crowd. Head back in the afternoon to meet up with your traveling companions….if nobody’s home, enjoy a peaceful lunch out on the balcony. This stylish home’s sophisticated accent walls in amethyst, eggplant, and orchid pop against the clean lines of its decor. Smart window placement means plenty of fresh breezes and sunlight throughout the home. And of course, the best part is the roof, with its comfy lounge furniture and million-dollar views. 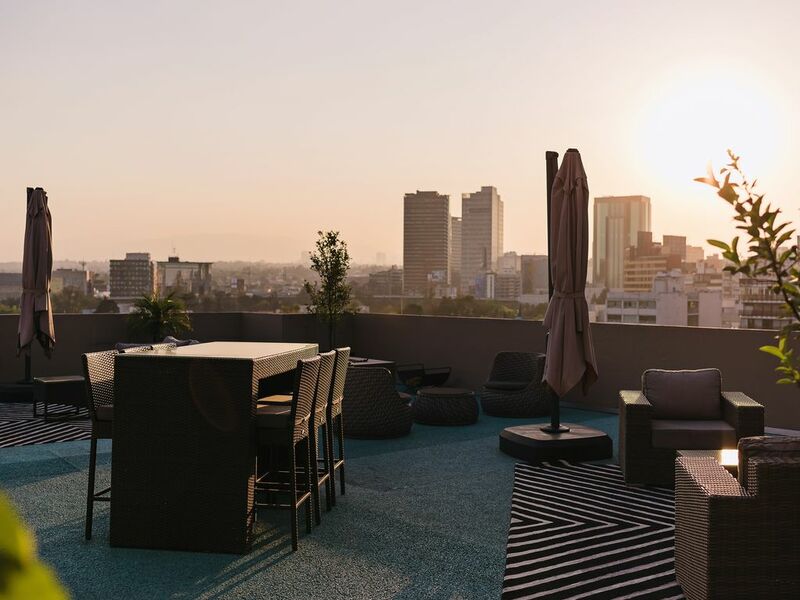 For the global business and cultural elite, Polanco is a destination neighborhood. Colonial buildings house upscale shops and restaurants with international reputations. Stroll the weekend market in lovely Parque Lincoln and get your art fix at iconic Museo Soumaya. When you stay in a Remixto home, you get to experience history. Whether a beachfront villa, urban pied-a-terre, or restored colonial, we handpick every home for its unique charm and character and we stock it with modern, first-rate amenities and handcrafted local comforts. With the privacy that comes with every one of our properties and our 24/7 customizable concierge services, you can truly relax and live just like you’re at home—except better. Want to immerse yourself in local culture? Whether you’re looking to wander through cobblestone streets and colonial buildings, indulge in authentic late-night street food, check out world-class cultural attractions, relax on the beach, or explore the best in contemporary design and cuisine, our team of experts can help you discover the hidden local gems of the neighborhood around you.